The Infant and Junior Schools had a wonderful time during Science Week. Every morning began with interesting science games and experiments across both schools, which allowed the children to further their scientific knowledge and understanding. Throughout the week, there were a lot of excited children preparing for some cross-phase fun! Classes in the Junior School visited their buddy class in the Infant School for many enjoyable science lessons. These activities are always very popular and illustrate just how well St Christopher’s children of all ages collaborate with one another. Arguably, the highlight of the week was when Mr Walker and Mr Gillard visited from the Senior School for even more cross-phase fun! They put on quite a show with their remarkable science experiments using fuel, chemicals and fire! 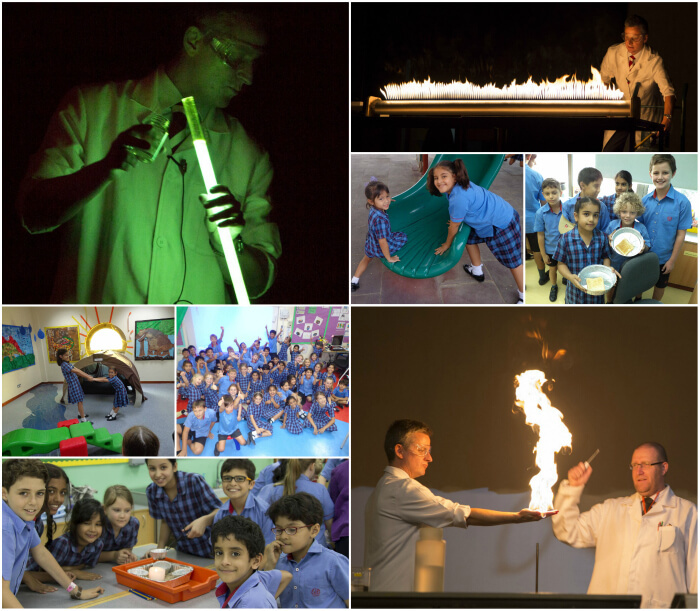 The children were in awe of these amazing experiments…and reminded, not to try them at home! Mrs Armstrong and Mrs Holness would like to thank everyone for their enthusiasm during our spectacular Science Week!